Heist comedy sequel directed by Jon M. Chu in which The Four Horsemen (Jesse Eisenberg, Woody Harrelson, Dave Franco, Lizzy Caplan) return for a second mind-bending adventure, elevating the limits of stage illusion to new heights and taking them around the globe. One year after outwitting the FBI and winning the public’s adulation with their Robin Hood-style magic spectacles, the illusionists resurface for a comeback performance in hopes of exposing the unethical practices of a tech magnate. The man behind their vanishing act is none other than Walter Mabry (Daniel Radcliffe), a tech prodigy who threatens the Horsemen into pulling off their most impossible heist yet. Their only hope is to perform one last unprecedented stunt to clear their names and reveal the mastermind behind it all. Jack Wilder: Let the moments and let the car do all the work for you. It’s all in the wrist. Merritt McKinney: Not bad. Now do you want to see a thing of beauty? Merritt McKinney: Bingo, bango, bongo. Jack Wilder: That’s good. It’s good to be positive despite making zero progress in a year. Lula: And what about girls, like relationships? Jack Wilder: Look it’s not something I’m proud of but every girl I get close to I end up taking their trust, and then their wallet. Lula: You, uh, you take their wallets? Lula: Did you ever take their belts? Lula: Oh, I’m sorry, did you think that I was like those other girls? Oh, Jack. Thaddeus Bradley: People see the Horsemen as noble Robin Hoods, but I believe their first attack was just a set up for an even bigger reveal. If you think you’ve seen it all take another look. Merritt McKinney: It’s so great to be back. Arthur Tressler: It’s so nice to see you all again. Thaddeus Bradley: Are you listening, Horsemen, you will get what’s coming to you in ways you can’t expect. J. Daniel Atlas: I’ve been told that I have some control issues, so I’m going to control something that’s a lot easier than people. Voice: Now the greatest magicians in the world are my magic trick. Dylan Rhodes: Everyone, get off the stage. Merritt McKinney: We jumped off a rooftop in New York. We ran into China. J. Daniel Atlas: How is this possible? Merritt McKinney: Have I ever told you about the guy who screwed me over everything? This is my twin brother Chase. Thaddeus Bradley: [to Rhodes] This is simply my move. Next one is yours. Thaddeus Bradley: Yes, you were lured into a trap, and the only way out is through. Lula: Somebody got the better of us, okay? Somehow. Walter Mabry: So happy to be working with you. Ta-dah! Walter Mabry: You’re magicians and thieves and we need your skills. Walter Mabry: This is the key to every computer system on the planet. I want you to steal it for me. Arthur Tressler: Hell will look like a day at the spa once I’m through with the Four Horsemen. Dylan Rhodes: You think we’re still going to play your little game. Thaddeus Bradley: I know you will. J. Daniel Atlas: We’re going out with the show people will never forget. Jack Wilder: Not long ago we were tricked. Lula: So it’s only fitting that we do the same thing to the person who did it to us. Jack Wilder: Damn, it feels good to be back. Thaddeus Bradley: There’s always more than what’s on the surface. J. Daniel Atlas: We’re going to destroy him. Dylan Rhodes: Want to know what all this has been leading to? Thaddeus Bradley: The greatest magic trick ever created. Now You See Me 2 is one of the summer’s better movies as it faces close competition with The Conjuring 2 in the box office. 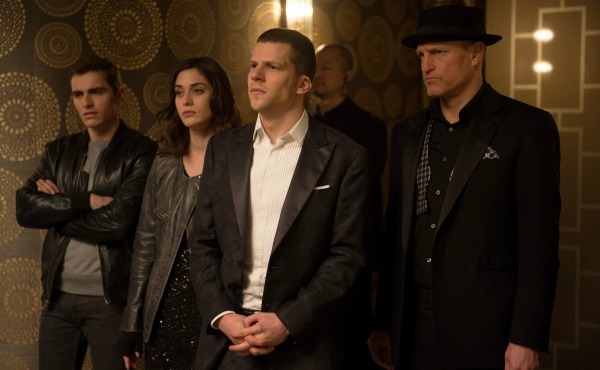 In the follow-up to the highly successful Now You See Me, the film adds more magic tricks and illusions that will leave the audience amazed and scratching to their heads as the film shows that magic cannot be outwitted by science. The film ensembles both well-known old and new faces which are such as Jesse Eisenberg, Mark Ruffalo, Dave Franco, Woody Harrelson, Morgan Freeman, Michael Caine, Daniel Radcliffe and Jay Chou. The director Jon M. Chu also adds more spectacles to the film in terms of linking up the plot of the first movie Now You See Me and pushing the boundaries of magic. The film opens one year later with after the members of the Four Horsemen J. Daniel Atlas who is portrayed by Jesse Eisenberg, Merritt Mckinney who is portrayed by Woody Harrelson and Dave Franco who is portrayed by Jack Wilder goes into hiding in waiting for another mission from the Eye. The Eye is a secret organisation of magicians that has recruited the Four Horsemen and will give them missions to perform. Daniel grows tired of waiting for instructions from The Eye and comes out of hiding to look for The Eye. However, his rash actions soon expose The Four Horsemen to more trouble as old enemies look to reunite in bringing an end to the horsemen theatrics. In the first few scenes of the movie, the audience is introduced to a new horseman in the form of illusionist Lula May who is portrayed by actress Lizzy Caplan. She is recruited to replace Henley Reeves from the first film. I felt that the character of Lula May just does not fit well with the other horseman as she has trouble in playing an integral part of the film’s storyline. It could be that her lines just do not fit well as it seems forced and awkward at moments in the film. I had hope that the character of Lula May could be made likeable when the credits rolled but hopefully, the director continues to build her character in the potential sequel. Also, I felt that the movie was made to seem complex which gave me a headache when I watched it due to the amount of magic tricks that was happening on-screen. The more complicated magic tricks got me thinking if the director was pushing the boundaries of magic too hard that at some parts, it becomes not believable, somewhat close to fantasy. It is an issue because some degree of realism in a movie should be present so that the audience will be able to follow the plot and character development too without stopping to question the scene. Other than that, I enjoyed the seemingly less complicated street magic tricks performed by the horsemen which were easier to digest. The villains in the film were also sadly underused and did not posed a significant enough threat to the Four Horsemen which I felt brought the film to an anticlimactic ending. They were portrayed by Daniel Radcliffe as Walter Mabry, Arthur Tressler’s son and Arthur Tressler who is portrayed by Michael Caine. Walter Mabry believed that science could overpower magic but he was not a big enough threat to the horsemen which made them underutilized and also made to look like the characters were for comedy relief. Luckily, as tables are turned towards the end of the film, Thaddeus Bradley turns out to be part of the Eye who has been helping the horsemen all along. It is a nice twist in terms of character complexity and the Four Horsemen also fills up the pitfalls in the film nicely. I would like to see a more formidable foe in the potential sequel and perhaps more situations that the horsemen would need more than just magic to get out of. It was a nice change to see Asian landmarks being integrated into the storyline too in adding greater ground for the film to move forward. 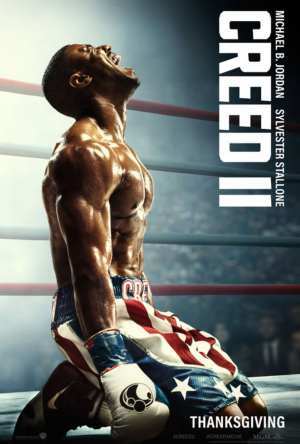 Overall, the dialogue of the film keeps it moving ahead but the question is will the sequel still have more tricks up its sleeves?